Our 15" Fishbowl Gumball Bank combines a 7.5"(19.05 cm) cast metal base with a 7.5"(19.05 cm) clear glass globe, that is sealed at the bottom, for an impressive 15"(38.1 cm) height. 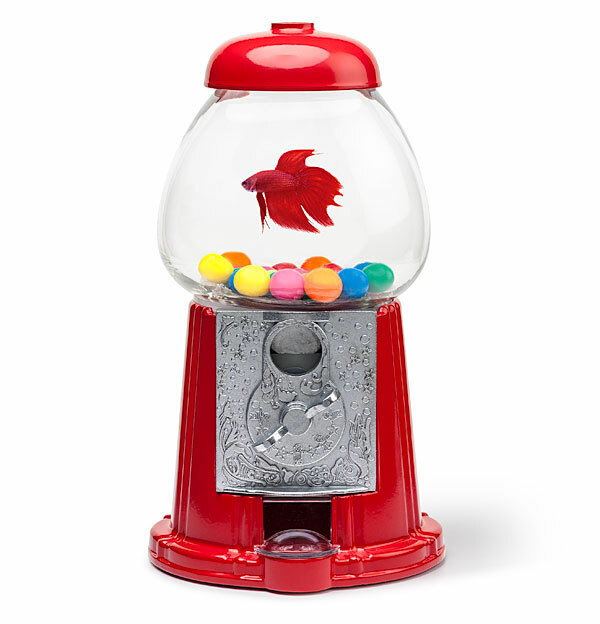 This gumball bank fish bowl is a fun and creative way to house little fish. It also makes for a colorful candy dish! 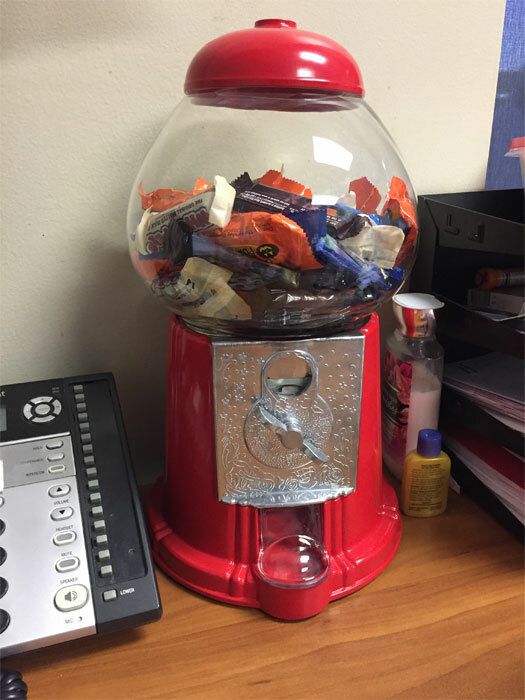 This is not a functioning gumball machine. It's made as a novelty item. This machine does not accept coins or vend candy.